Remastered and remixed from the original analogue tapes from the bands concert at the Hammersmith Odeon 9th November 1981, this unique pressing features the whole live show that captures the band at their incendiary best, the explosive angst and despair as much as the infamous portentous gloom. This concert features songs from Mask, and also includes A God In The Alcove, Stigmata Martyr from their debut album and the 1980 single Terror Couple Kill Colonel. 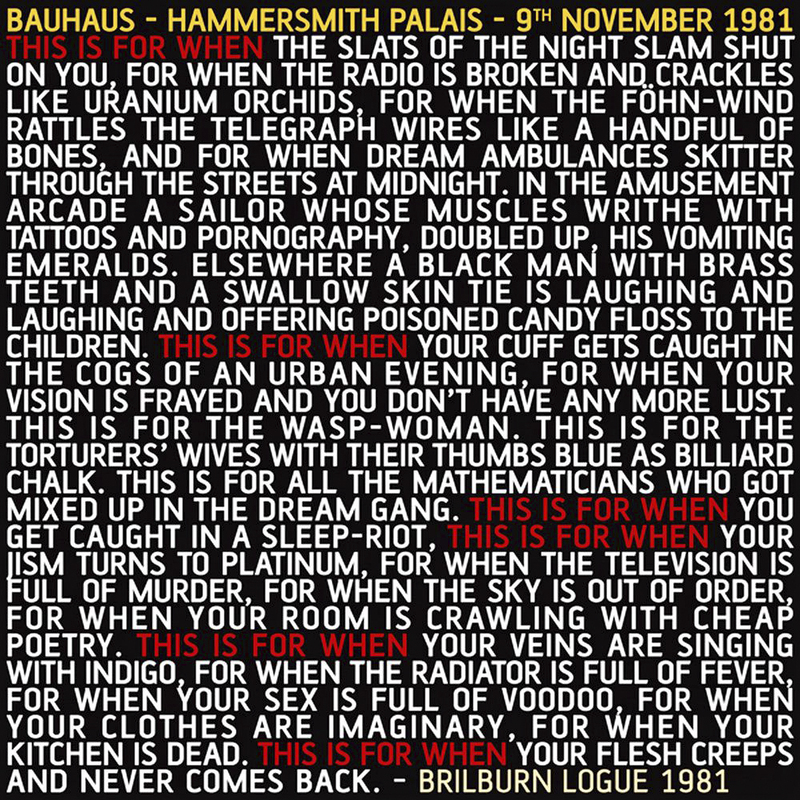 The shows encore is the seminal Bauhaus 1979 classic Bela Lugosi's Dead.